Some things are really annoying me in my digital life, here’s a short list of the most annoying. Please add yours in the comments. 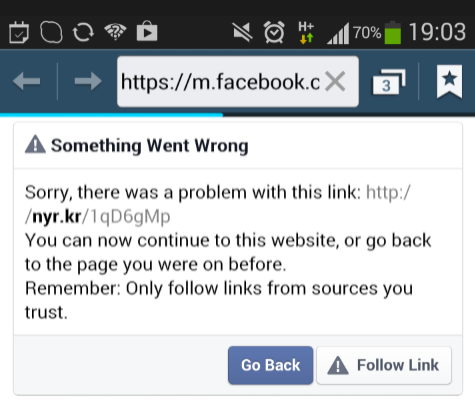 It’s a link to the New York Times and there isn’t a problem. If this is supposed to be preventing us from opening dodgy websites it fails since it happens on every link so the user (ie; me) learns to click past it very quickly. 2 Content Publishers, don’t make me download an app to read your content. 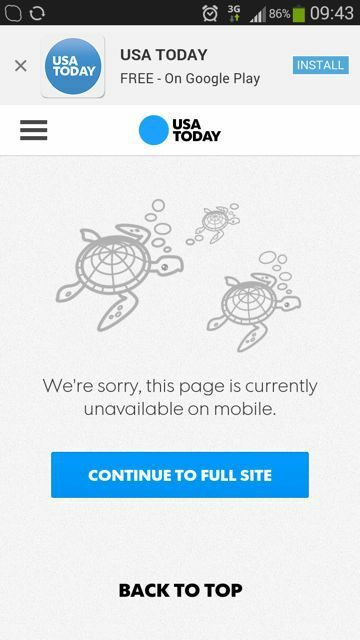 Given that they could use responsive design I don’t care about one piece of your content enough to use my data limit to download your app. Stop it…. (cute turtles though). I type in domainname.com and am flipped into the Dutch site, based on my IP address. Lots of guilty sites; google, expedia, msn to name three. I do understand the reason behind this, but make it easy for me to switch languages. Do not do what Kobo does – lets me change the platform language but still delivers content in Dutch (even with a login, it go so annoying that I deleted my account). Thanks I feel better for letting that out. So much better that this might become a series. What are your digital “stop it” messages?